Mother of My Son is a beautiful, well-written story of redemption, forgiveness, and God’s unconditional love shown through His children. The author employs natural realistic dialog, and keeps the plot moving to the end which makes for a page-turning read. 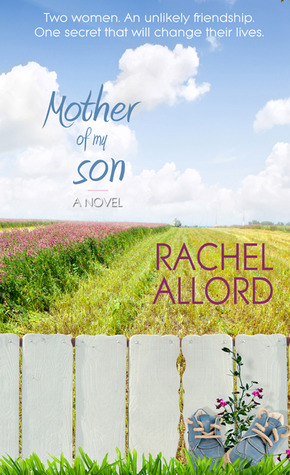 Rachel Allord reaches deep into the hearts and souls of her characters, so that you are intimately involved in their struggles, heartaches, and joys. One of the most glaring truths is that behaviors are passed from one generation to the next. However, when one allows Christ to take over, things change. This debut author has clearly hit this one out of the park, and I highly recommend it! Amber Swansen, in shock, horror, and desperation, made the biggest mistake of her life. But so what? She’d always been told she was a loser—by her mother, no less. Her dreams of becoming a designer shattered, she struggles with what life brings her way the same way her mother does—with a string of boyfriends. True to her and her mother’s track record, one relationship is as toxic as the next. Grandma Ginny hadn’t seen her granddaughter in fourteen years and prays for Amber every day. Although Amber sees her as a “holy roller,” Ginny becomes her granddaughter’s rock. Beth Dilinger befriends Amber, gently guiding her toward the Savior. The worlds of both women threaten to explode when unlikely and bizarre facts are inadvertently exposed. Michael Dilinger, Beth’s son, is soon going off to college in another town. Will Beth be able to cope with the inevitable empty nest? 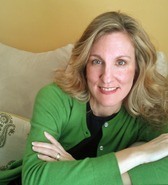 Gretchen is Beth’s older sister, most trusted confidant, and mentor. Occasionally, she enjoys throwing a curve ball to her sister in an effort to get her out of her comfort zone and help her to grow. Margaret Swansen, Amber’s mother, holds on to bitterness and resentment and seems to enjoy passing these emotions and attitudes down to her daughter. Rachel, Do you have a favorite scene in this book? One of the most personal scenes for me is when Beth is ripping up shag green carpet and scraping glue as she grapples with her infertility and hopes that the room in which she’s laboring will one day be a nursery. This is the most auto-biographical scene in the book. I tore up green carpet. I spent the summer scraping old glue, all the while wishing for my baby. By the time we came home from China with my baby girl, the floors of that room were sanded and beautiful and the room was ready. What is the most recent “curve ball” you’ve encountered? Homeschooling. Although I’ve taught in the public school and tutored home- schooled students, this is the first year I’m homeschooling one of my own. Life is totally different this year. It’s good, challenging, rewarding… all rolled into one. A definite curve ball for me. What is most interesting thing you have learned while doing research for this book? That I’m more like Amber then I originally thought. Even though she’s my protagonist, in the beginning I had a hard time connecting with her. I didn’t even like her at first which is a problem because if I didn’t like her, why would my readers? But as I continued to write and dig and pray I came to realize that even though our growing up experiences are totally different, and even though I haven’t walked in the same dark and desperate places she has, I’m just as much in desperate need of God’s grace and forgiveness. What is the most rewarding thing about being an adoptive parent? This is going to sound terribly obvious but her. My daughter is the reward. Just as I feel fortunate to have been given the chance to give give birth to my son, I’m so thankful we were able adopt, to experience the fierce emotions that come with taking a child not of your own flesh and allowing God to knit you together as a family. Adoption is complicated, it comes with a lot of complicated emotions both for you and your child, but it’s so rich and spiritually profound. It’s messy but beautiful, much like the rest of life, but with all that said, I just love my daughter. I’m so grateful I get to be her mom. Who are your favorite authors? Is there an author who has had a strong influence on your writing? Close friends know I try to weave “To Kill a Mockingbird” or “Les Miserable” into just about any conversation, so Harper Lee and Victor Hugo are at the top of the list. I’m also a fan of Leif Enger and Jodi Picult. As far as the author whose books I turn to to “mentor” me in terms of how tell a killer story while dishing out spiritual truth, I’d have to say Francine Rivers. Her books are old friends and as silly as this sounds, I fantasize about having coffee with her. Do you have a favorite season of the year? What’s special about it for you? I love fall. Even though it’s the season when, technically, everything is dying, it’s gorgeous and the paradox of it all is poetic. Fall always feels like a new start for me. Not to mention Wiscsonisn puts on some pretty spectacular displays of color. Travel. Just about anywhere. We’ve been known to sell blood to pay for our travel addiction. Truly, we have. What are you working on now? I’m nearly done with a novel that examines questions like…. what do you do if you meet your soul mate but you’re married to someone else? Is there even such a thing as soul-mates? Can a dead marriage be resurrected? What causes women to run away from their marriages? It’s a bit quirky, down to earth and, I pray, thought-provoking. I love this mix of flawed by earnest characters and I love how symbolism emerged during the writing process. You are currently browsing the Ramblings of a Crowded Mind blog archives for October, 2014.